Webmin is a web-based control panel for any Linux machine which lets you manage your server through a modern web-based interface. 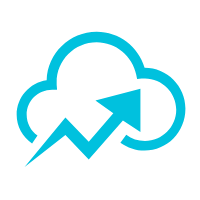 With Webmin, you can change settings for common packages on the fly, including web servers and databases, as well as manage users, groups, and software packages. Webmin helps system administrator to manage the operating system's internal such as changing passwords, disk quotas, file system, process, scheduled jobs, software packages, system logs, and much more. 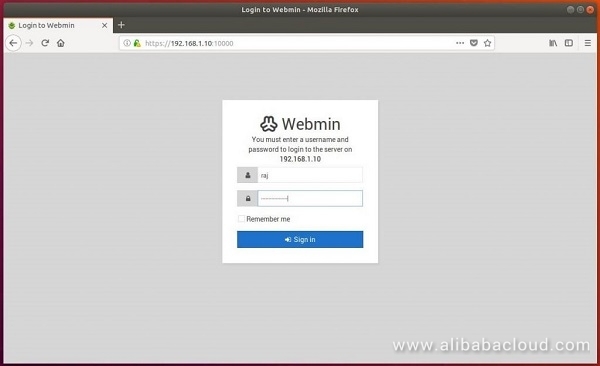 In this tutorial, we'll install and configure Webmin on an Alibaba Cloud Elastic Compute Service (ECS) server and secure access to the interface with a valid certificate using Let's Encrypt and Apache. We'll then use Webmin to add new user accounts, and update all packages on your server from the dashboard. 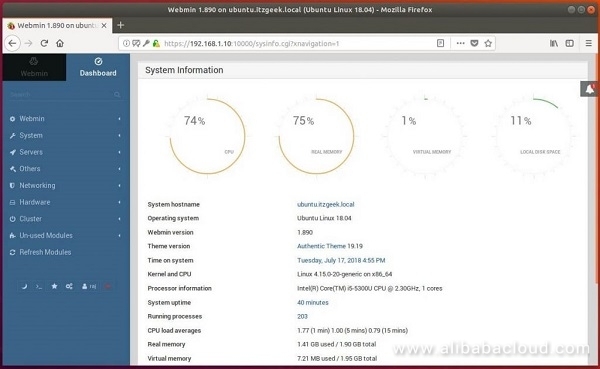 Until Ubuntu 18.04 matures and is included in Alibaba Cloud's library of operating system images, we can upgrade Ubuntu 16.04 to Ubuntu 18.04 by using the do-release-upgrade utility. After completing the prerequisites, log in as root user with your root username & password via SSH client (e.g. Putty) or VNC console available in your Alibaba Cloud account dashboard. Apache to perform Let's Encrypt's domain verification and act as a proxy for Webmin. Ensure you configure access to Apache through your firewall when following this tutorial. 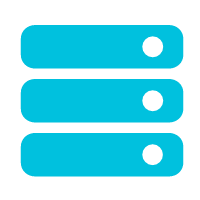 A Fully-Qualified Domain Name (FQDN), with a DNS A record pointing to the IP address of your server. Certbot to generate the TLS/SSL certificate for Webmin. Now, let's secure access to Webmin by putting it behind the Apache web server and adding a valid TLS/SSL certificate. To access Webmin, you have to specify port 10000 and ensure the port is open on your firewall. This is inconvenient, especially if you're accessing Webmin using an FQDN like webmin.your_domain. We are going to use an Apache virtual host to proxy requests to Webmin's server running on port 10000. We'll then secure the virtual host using a TLS/SSL certificate from Let's Encrypt. This configuration tells Apache to pass requests to http://localhost:10000, the Webmin server. It also ensures that internal links generated from Webmin will also pass through Apache. Next, we need to tell Webmin to stop using TLS/SSL, as Apache will provide that for us going forward. Change the 1 to a 0; this will tell Webmin to stop using SSL. Next we'll add our domain to the list of allowed domains, so that Webmin understands that when we access the panel from our domain, it's not something malicious, like a Cross-Site Scripting (XSS) attack. Add the following line to the bottom of the file, replacing your_domain with your fully-qualified domain name. Note: Ensure that you allow incoming traffic to your web server on port 80 and port 443. You can do this with the command sudo ufw allow in "Apache Full". Navigate to http://your_domain in your browser, and you will see the Webmin login page appear. Warning: Do NOT log in to Webmin yet, as we haven't enabled SSL. If you log in now, your credentials will be sent to the server in clear text. Now let's configure a certificate so that your connection is encrypted while using Webmin. In order to do this, we're going to use Let's Encrypt. The output indicates that the certificate was installed and Apache is configured to redirect requests from http://your_domain to https://your_domain. You've now set up a secured, working instance of Webmin. Let's look at how to use it. 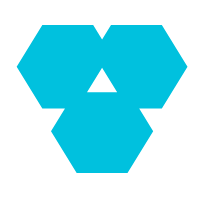 Webmin has modules that can control everything from the BIND DNS Server to something as simple as adding users to the system. Let's look at how to create a new user, and then explore how to update software packages using Webmin. In order to log in to Webmin, navigate to http://your_domain and sign in with either the root user or a user with sudo privileges. Let's manage the users and groups on the server. First, click the System tab, and then click the Users and Groups button. From here you can either add a user, manage a user, or add or manage a group. When creating a user, you can set options for password expiry, the user's shell, or whether they are allowed a home directory. One important feature of Webmin is that it has a built-in web-based ssh terminal. You can start the terminal by clicking the below icon or use the keyboard combination "Alt+k". You now have a secured, working instance of Webmin on an Alibaba Cloud Elastic Compute Service (ECS) instance, and you've used the interface to create a user and update packages. Webmin gives you access to many things you'd normally need to access through the console, and it organizes them in an intuitive way. For example, if you have Apache installed, you would find the configuration tab for it under Servers, and then Apache. Explore the interface further, or check out the Official Webmin wiki to learn more about managing your system with Webmin.